^ charitybuzz. Have 3-Time Academy Award-Nominated Filmmaker David Lynch Review Your Screenplay in LA. charitybuzz. Charitybuzz Inc. 2012 [2012-08-16]. ^ The Police Knighted In France: Filmmaker David Lynch Promoted to Officer in France's Legion of Honor. CBS News Online. 2007-10-01 [2010-11-29]. ^ 40 best directors. London: The Guardian Online. 2007 [2010-11-29]. （原始内容存档于2007-07-27）. ^ Ankeny, Jason. David Lynch: Biography. Allmovie. [2010-11-29]. ^ Lynch and Rodley 2005. p. 1. ^ Williams, Alex. David Lynch's Shockingly Peaceful Inner Life. New York Times. 2007-12-31 [2010-10-29]. （原始内容存档于2013-09-10）. ^ Sadighian, David. David Lynch thinks we're all lightbulbs. What?. Yale Daily News. 2005-10-01 [2010-11-29]. ^ Lynch and Rodley 2005. p. 113. ^ Peary, Danny. Cult Movies 3. New York: Simon & Schuster Inc. 1988: 38–42. ISBN 0-671-64810-1. ^ Kermode, Mark. David Lynch. The Guardian (London). 2007-02-08 [2009-10-27]. 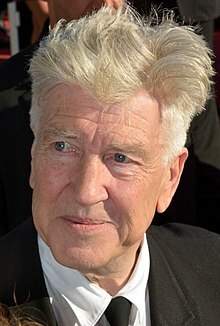 ^ Academy Award Database: Lynch, David. Academy of Motion Picture Arts and Sciences. [2011-04-23]. （原始内容存档于2012-01-13）. ^ Hart, Hugh. David Lynch's Interview Project Probes American Dreams. Wired. 2009-05-30 [2011-08-30]. ^ Rosser, Michael. David Lynch hints at new film | Diary Blog. Screen International. Top Right Group. 2012-11-26 [2012-11-26]. ^ Blake, Meredith. Laura Dern's Enlightened approach. Los Angeles Times (Tribune Company). 2013-01-15 [2013-01-17]. ^ Weston, Hilary. David Lynch and Laura Dern Have a Mysterious Project in the Works – Movies. BlackBook. VIBE Media. 2013-01-16 [2013-01-17]. （原始内容存档于2013-02-13）. ^ Hoffman, Claire. David Lynch Is Back ... as a Guru of Transcendental Meditation. The New York Times (The New York Times Company). 2013-02-22 [2013-02-23]. Le Blanc, Michelle and Odell, Colin. David Lynch. Harpenden, Hertfordshire: Pocket Essentials. 2000. ISBN 1-903047-06-4. Lynch, David and Rodley, Chris. Lynch on Lynch (revised edition). New York: Faber and Faber. 2005. ISBN 978-0-571-22018-2.